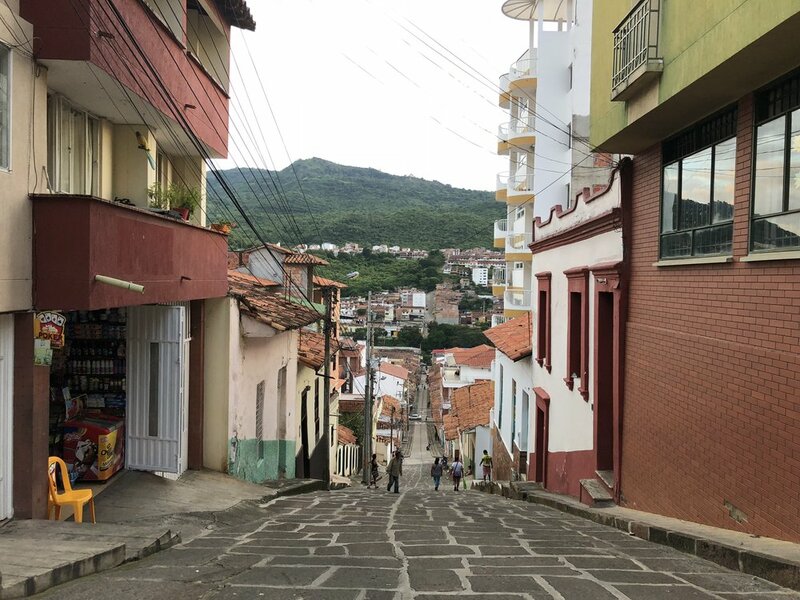 For Day 3 of our trip, we headed back towards Bucaramanga from Barichara and stopped for a night in the city that is known as the adventure capital of the region, San Gil. In this city you can find plenty of adventure tour companies willing to take you paragliding, repelling down waterfalls, white water rafting, bungee jumping, etc. We chose to pass on these adventures and instead did some more kid-friendly activities. 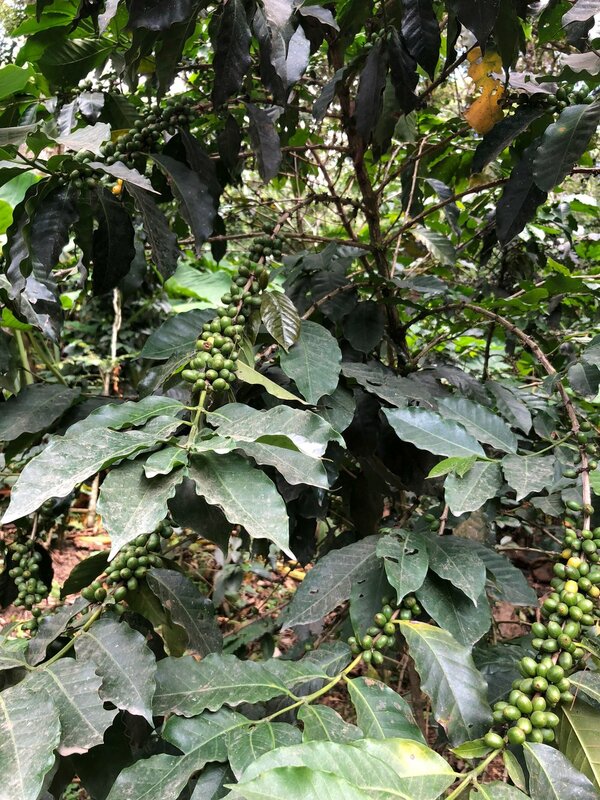 The drive from Guadalupe to San Gil is at least 3 hours, especially when you stop along the way to learn to identify the bushes growing coffee beans and cacao. 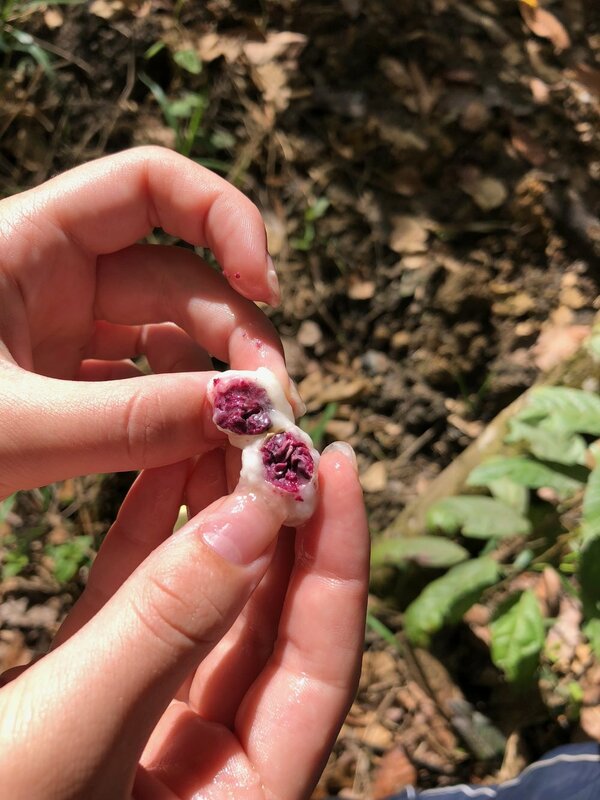 We even hopped out of our vehicle along the road and our guide harvested a cacao fruit so we could taste the white, slimy fruit with a seed inside that could eventually be dried to make chocolate. 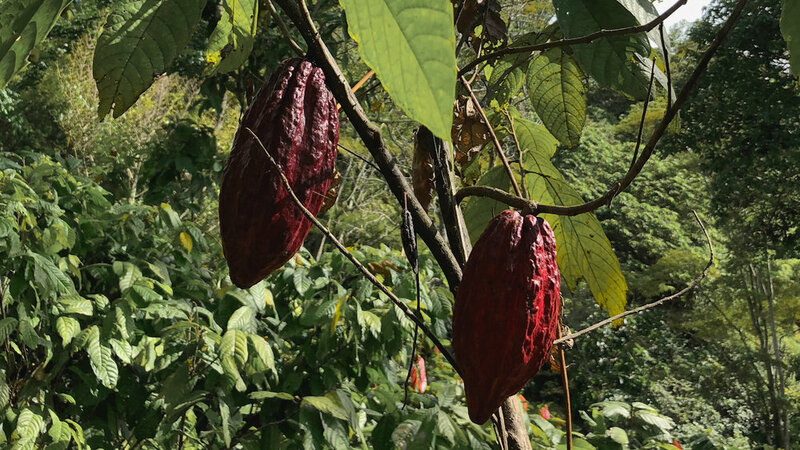 Unrippened fruit of the cacao tree. 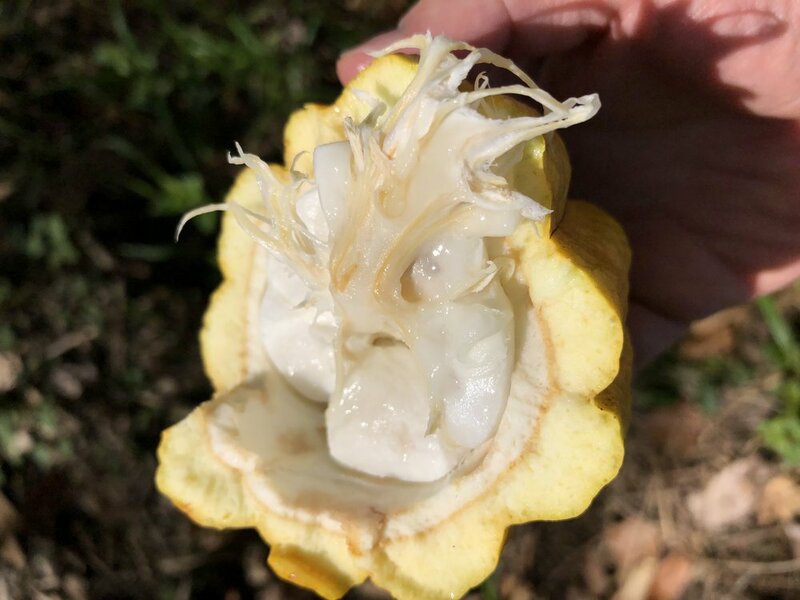 Seed inside the cacao fruit. The city of San Gil itself seemed like a somewhat typical sprawling Colombian town with hilly streets reminiscent of San Francisco at times (see the photo at the top of this post for a typical view down one of the city roads). We tried to visit the Pozos Azúles, which are typically beautiful blue pools of water that are great for swimming, but the recent rains turned the pools to cloudy, brown and not very inviting for swimming. So, instead we headed to a restaurant across the street from the pools and enjoyed watching Colombia play in the semi-finals of the World Cup on a large TV screen. That was fantastic. You couldn’t be more Colombian than eating Colombian-style food at an open-air restaurant while watching the game. When Colombia and England tied, we decided to continue with our adventure with a walk through Gallineral Park (Parque el Gallineral). The park is best known for the hanging moss that covers the trees and provides a kind of mystical landscape. My kids most enjoyed hand-feeding the squirrels and a parrot (who likely had a slight mental problem and had plucked out most of her feathers) with the bag of seeds you could purchase. Amazingly we came across a crowd of people at the park’s restaurant who were also watching the game on TV, and we were able to watch the final penalty kicks of the game. When Colombia missed the final penalty kick, the atmosphere quickly changed from highly charged to depressing nearly instantly. So, we meandered away and continued to enjoy the park. 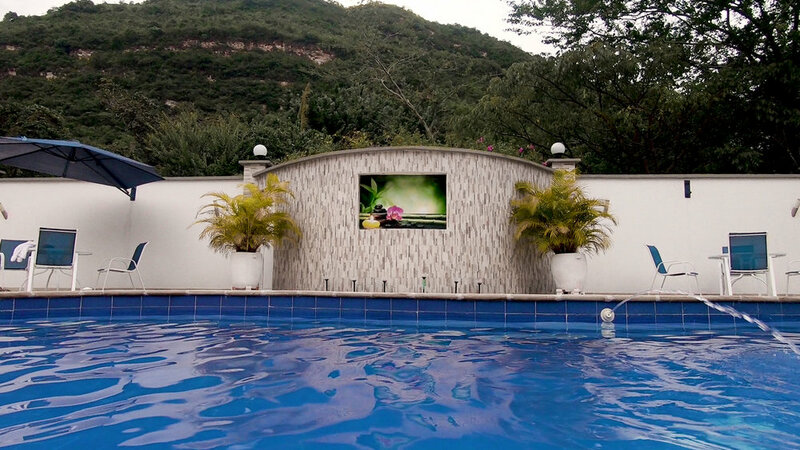 After a long day of driving and some adventures, we decided to return to our hotel, the Hotel Santa Catalina, and enjoy some time in the pool. The pool was beautiful, with 3 separate areas. However, it’s not heated, not even the jacuzzi, so the kids and our guide enjoyed the water, while my husband and I enjoyed the lounges. We also played some mean games of ping pong and air hockey. The two-story hotel is adorable and well maintained, with an on-site restaurant too. The rooms have hot water (most of the time), and no air conditioning, but even in the summer we did not need it as they had large fans in the rooms. 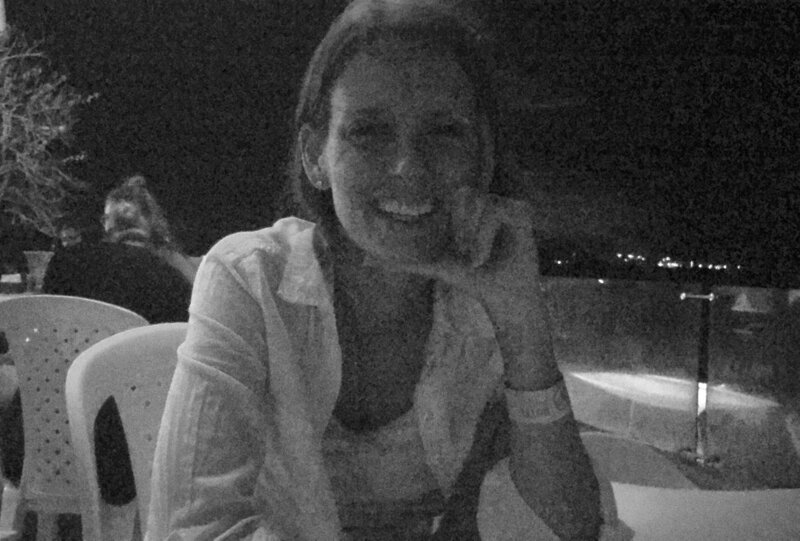 We decided to dine in a local establishment that is well-known to travelers…Gringo Mike’s. That was a fabulous idea. The food was scrumptious and for a time we even forgot we were in a foreign country as it was so reminiscent of the U.S.
Our guide had never eaten at such a place, so we had to help him navigate the large menu. Plus, we introduced him to his first chocolate chip cookie. Gringo Mike’s serves a large warm cookie in a pan with a scoop of vanilla ice cream. Yum. After dinner we tried to play Tejo at the large Tejo Court in San Gil, but it was closed for some unknown reason even though the sign said it should have been open. We suspect that Colombia’s loss in the World Cup that day perhaps soured the mood and they decided not to open for the night. If you are unfamiliar with Tejo, it is a major Colombian past time. It is like lawn darts with gun powder. You toss a disk (a tejo) at a target on the ground that contains gun powder, so that when you hit your target there is a small explosion. Nifty, right? We were going to find another court, but our son passed out in the backseat of the car after such a long day and we decided to call it a night. From San Gil we traveled to the nearby town of Barichara. To learn more about why this was my husband's favorite town, read more here. Location: Approximately 3 hours south of Bucaramanga in the Department of Santander.